When you coach you’re either helping or keeping score. In this short article I explain the difference between the two. In the Contact Centre industry we tend to be obsessed with measuring things. And we have a whole special set of measurements reserved just for Contact Centre Agents. 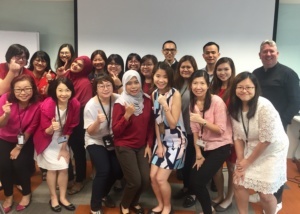 When we’re able to influence and guide our Agents to better Productivity, Quality & Attitude, life is good. And measuring progress quantitatively along the way is fine. It’s really important to let people know how they are doing. One of the most important processes in the Centre is Monitoring & Coaching. We monitor Customer interactions, document our findings and talk to the Agents about their performance. Great Monitoring & Coaching improves Quality, drives better Customer Satisfaction and delivers higher Employee Engagement. 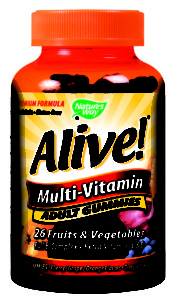 It’s a multivitamin process with lots of great benefits. But only when it is well designed. The Monitoring & Coaching process is more complex than it first appears on paper. What do we monitor for? Who makes the rules for defining and calibrating Performance Standards? How often should we listen, how should we listen, what do we listen for? Who should talk to Agents? With what frequency should we talk to Agents? What is the role of Quality Assurance? When or how should a score be involved? Wow – there’s a lot involved. But there are some answers too. Let’s focus in on the use of scoring. What is the role of the Scorecard? Let’s zoom in questions around scoring. What is the role of the Monitoring ‘Scorecard’? Do I have to use it every time I speak with my Agent about their interaction? Do I as a Team Leader use it or does Quality Assurance use it? In our Client work, we find that both Team Leaders and Quality Assurance have an unhealthy attachment to the scorecard. Every quality discussion with an Agent involves a score. Even side by side sessions – the rare times they seem to be conducted – involve a scorecard. Isn’t this all rather disheartening and unnecessary? And typically all the Agent wants to know is the score. Or ‘did I pass or not pass’? That’s not a formula for improvement. And a sure sign there is confusion between helping or keeping score. Scorecards are wonderful tools for gathering quantitative data. Providing a developmental summary of scores across randomly selected interactions can be a great tool for Agent performance trending. 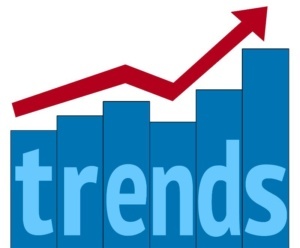 Here’s your trend here. Here’s your trend there. The big picture of performance and what contributes to it. But scoring on a day to day basis in the Centre can inhibit growth. I don’t think you would say this. Even writing these lines makes me cringe. The role of a Coach within the context of transactional coaching is to help their Agent get better and better at what they do. Since when did helping someone get better involve a score? A Scorecard is a judging tool. It tells you how you did. 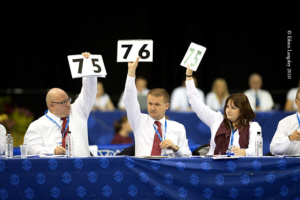 Just like watching the scores presented by Olympic Judges after the skater has skated, or the diver made their dive. They tell you how you did. But they aren’t designed to help you get better. It makes me sad when Quality Assurance people tell me that all they do is issue scorecards and hope that Agent quality performance improves. What the best coaches do is sit with their folks – on a regular basis – and help them get better. They understand that helping is something they do for their people. With no score attached. And why would you need one? And the more you help someone – the better they will score when the time comes. When people ask me how many interactions they should monitor I ask them to rephrase the question. Then add the answers to these two questions together to get your answer.